The new Dorset and Wiltshire Fire and Rescue Service will occupy part of the Five Rivers Community Campus in Salisbury. A meeting place for teams, departments and the new Fire Authority. From April 1 the merger between Dorset and Wiltshire Fire and Rescue will become one service covered by a single authority with 50 fire stations stretching from Poole to Swindon. Prism Office Interiors were involved from the outset working closely with the Management Team since the start of the merger. The design brief was discussed extensively whilst the building got underway and Prism Interiors presented several CAD designs and various schemes in order to meet a very challenging brief. The Fire Service’s Strategic Hub will be at the heart of the new service and Dorset and Wiltshire Fire and Rescue were keen to explore alternative ways of working with ‘collaborative working’ being high on the agenda. The brief provided to Prism Interiors Design Team was; a Strategic Hub – with multi directional set up, non political, to include a cultural element, a modern interactive space and concentration space, touch down points to allow for peripatetic workers and most important of all, to create a vibrant hub! "Prism Interiors was able to interpret a challenging brief that needed to reflect the combination of two Service’s with their unique cultures; deliver fluid and adaptable workspaces that supported the vision for a better way of working whilst reinforcing the new brand of Dorset and Wiltshire Fire & Rescue Service. Their hard work, creativity and attention to detail enabled the Estates Manager to meet the design brief on time and on budget." Prism Interiors met all design deadlines and achieved the brief following several meetings over the past 12 months with various members of the senior management team to ensure everything was achieved. 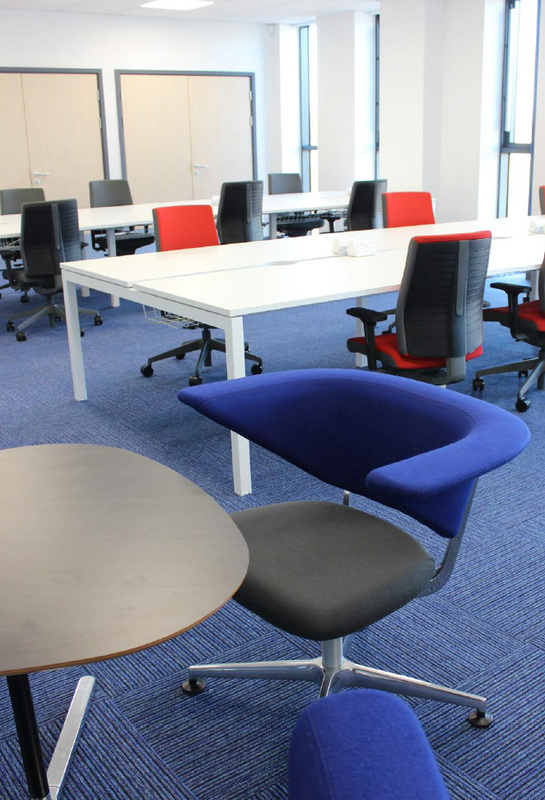 Following an extensive tender process, Prism Interiors were awarded the tender to supply all the furniture which was delivered and installed in March 2016.